Where can I find information about individuals who served in the merchant and naval services? The 1915 Crew List Project has made available a database of over 750,000 names from approximately 25,000 crew lists held by the National Maritime Museum and the National Archives for 1915. This is the result of a 3 year project by the National Maritime Museum, the National Archives, the Crew List Indexing Project and over 400 e-volunteers around the world to produce a searchable database of merchant seaman who were active during the First World War. Dr Chris Ware of the University of Greenwich has compiled an information sheet with further advice about tracing individuals who served in the merchant and naval services. Download the 'Fishing For Your Ancestors' information sheet here. 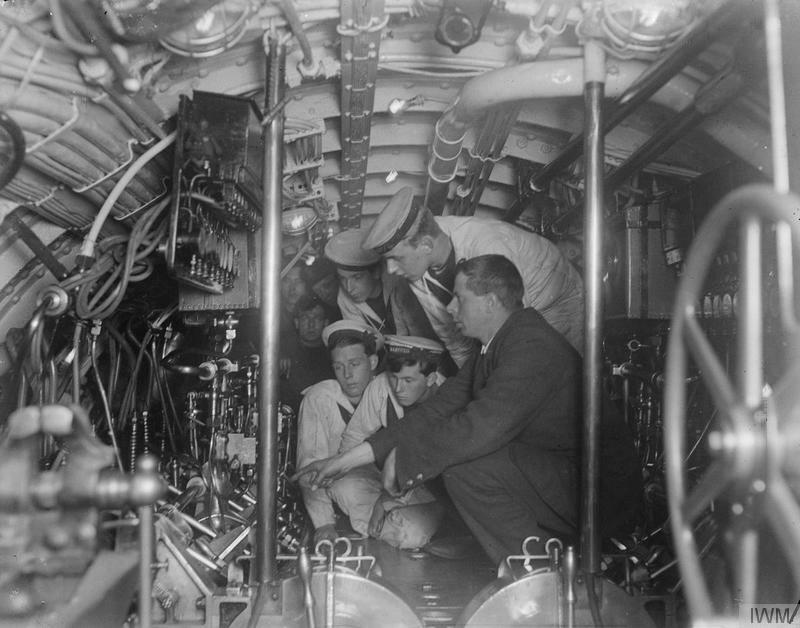 © IWM (Q 18868) Boy sailors having submarine instruction in the engine room in a C-class submarine in Portsmouth, First World War.